At Cloward Dental we want your first visit to your 50th visit to be a comfortable experience. Below is information about what you can expect, types of payment and insurance we accept and other valuable information. Welcome to the office of Dr. Aaron Cloward. If it's your very first visit we want you to know what to expect so that the entire visit is stress-free. Our goal is to make every patient and every visit as comfortable as possible. We look forward to meeting you and learning about what you feel is important in regards to your dental health and smile. If you are looking for a new dentist, have a dental-related question, or would like to schedule an appointment, please call us at 801-794-1834. Or, if you prefer, you may fill out our convenient contact form by clicking here. Dr. Cloward will perform a complete oral exam and discuss in detail any treatment you may need. He will take time to answer your questions and concerns. Generally a new patient exam will include a thorough teeth cleaning by one of our excellent hygienists. On occasion the cleaning might be scheduled for a follow-up visit depending on the condition of your teeth and gums. We will also take x-rays to help Dr. Cloward more accurately diagnose any dental condition you may have. Your first appointment will take approximately 1 - 1 1/2 hours. If you are a new patient and you’ve already scheduled your new patient exam, please provide us with new patient paperwork that can be downloaded here.. You may print them out and fill them in at your own convenience and bring them with you at your first visit, or you can allow time to fill them out when you come in. Dental Insurance Card if you have dental insurance. Any x-rays or dental records if you have them. We welcome kids, families, elderly patients, students and everyone in between. 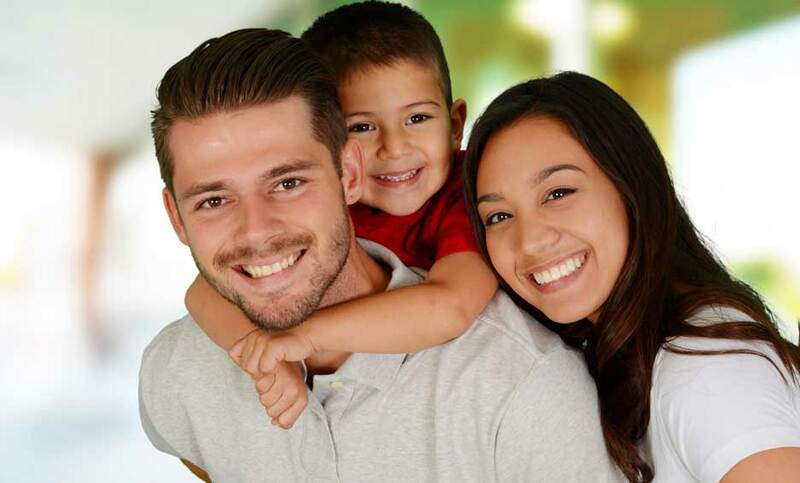 We are a family-oriented dental practice and our goal is to provide a positive and comfortable visit for each family member. Our long-term staff is friendly and personable and have excellent training and knowledge. We always strive to achieve patient satisfaction and feel it our responsibility to thoroughly educate each patient about our recommended treatments. We hope to meet you soon!